Technology has become an essential part of our lives today and few can imagine living without. In the emerging world, we use different technologies for the specific tasks in our daily life whether it is travelling or stay in touch with our friends or on the other side of the earth or cure much illness. We are surrounded by the technology and it has a great impact in an unquestionable manner. We have achieved a lot with the help of technology and Arya College of Engineering And IT believes that to be competitive and to be able to adapt in the significantly changing digital world, it is essential to speak and understand the languages of the computers. 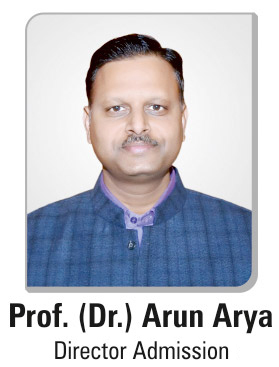 For this purpose, Arya College of Engineering And IT aims at conveying Computer Science and Engineering Education for the professional abilities in the changing and challenging technological world for advancing the knowledge in various areas of Engineering. By getting inspirations from these amazing facts, Arya College of Engineering And IT Welcomed Tata Consultancy Delegates for TCS 2018 on 6th August 2018 which is a Global Coding Contest Season-7 by TCS for the students of Computer Science and Engineering. As we all know that coding is the great concept for powering the digital world whether it is a website, smartphones apps, computer programmes or anything else relies on computers. So it will be a great idea if we could able to speak and understand the language of the computers in the digital world from Code, Akin to maths and an initiative taken by TCS by organizing CodeVita so that students could overcome the fear of coding and enjoy writing computer codes. The Eligibility Criteria for this contest were that the students of coding from the institutes across India completing their academic course in 2019, 2020, 2021 and 2022 are eligible for this. In this event of TCS, all the students of CSE Department of Arya College took part actively in the competition of quiz, testing their learning and interest towards their subject. It was a quiz competition for the students of the CSE Department which was quite successful and students attained a lot of knowledge in coding and enjoy its various amazing facts. The Main Objective of Arya College for organizing this coding event was to sharpen the programming skills of the students through real-life computing practices and quiz competition. Arya College believes that through this event, students will have the opportunity to showcase their programming talent and earn peer recognition. Such active participations by students of Arya College of Engineering and IT are worth recognition.